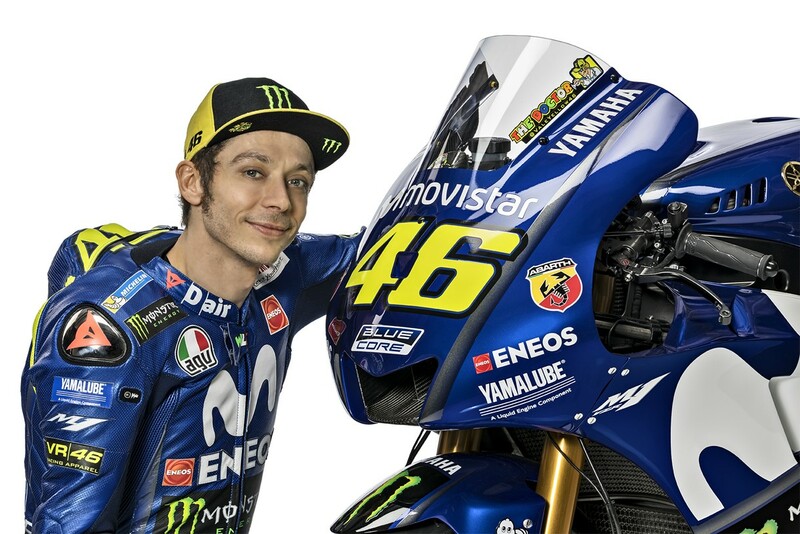 March 15, 2018—Yamaha Motor Co., Ltd. is delighted to announce that it will continue its strong relationship with nine-time World Champion and living MotoGP legend Valentino Rossi, having signed a new two-year agreement with Yamaha’s factory team for the 2019 and 2020 MotoGP seasons aboard the Yamaha YZR-M1. The combination of the Doctor and the YZR-M1 has led to many milestones in the past and together they secured four MotoGP World Championship titles. He is Yamaha's most successful Grand Prix rider in history, with 56 wins, 43 second places, and 35 third places secured in 206 races together. Moreover, out of the manufacturer's 500 Grand Prix victories, achieved in Le Mans 2017, exactly 11% of those victories were secured by him, making him the biggest contributing rider, having scored 55 victories on a Yamaha up to that point.